Quality BACKLINKS and quantity with the help of top SEO experts. We have ranked hundreds of sites on the first page of Google with our link building packages . Backlinks are the neccessary and the most important part for the website ranking we should make backlinks to rank out site perfectly. Try us once. You will come back over and over, we promise. 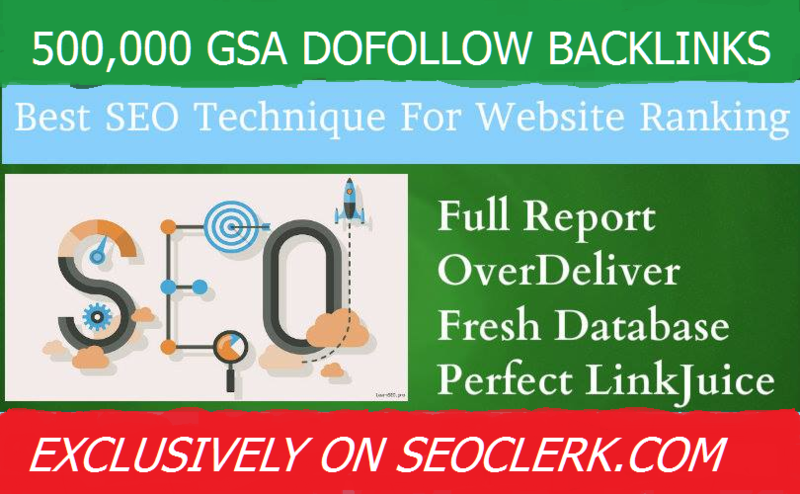 500,000 Gsa,High Quality Authority Dofollow, Backlinks For SEO To Rank Site is ranked 5 out of 5. Based on 8 user reviews.